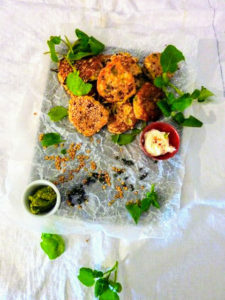 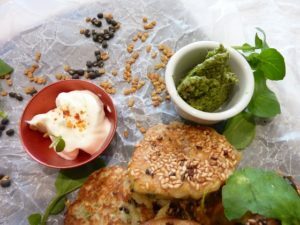 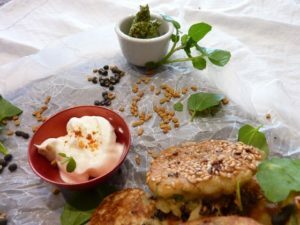 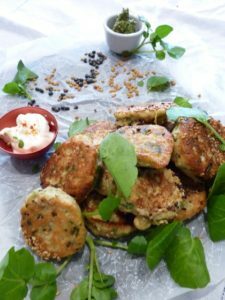 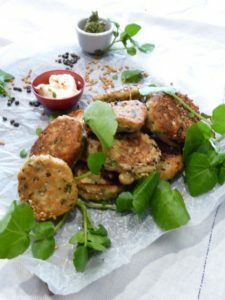 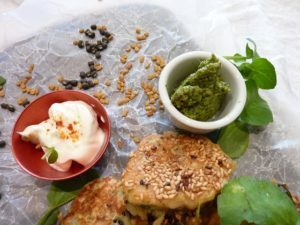 This is a very simple recipe – that was inspired by “Sibas Mfino Fritters” – I turned it and tuned to fit in with my ethos of vegetarian – and then I took it a step further and made it gluten free and vegan. 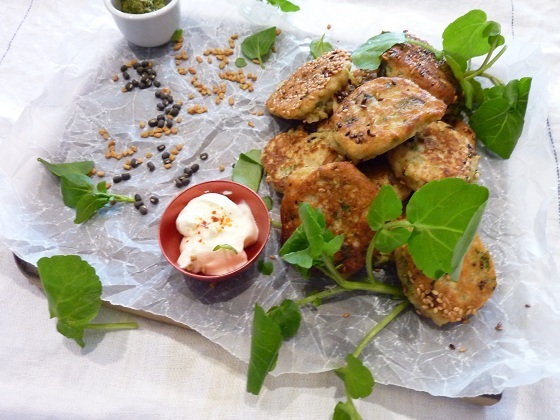 It gives me great pleasure in taking recipes and tuning them to fit in with being “Vegetarian & Vegan”, and now I am also experimenting with “gluten free” – never thought that my grandmother knew about it – as she used a vast range of flours that were all gluten free – I remember her pantry being full of various kinds of flours and lentils and grains and spices and the list goes on. 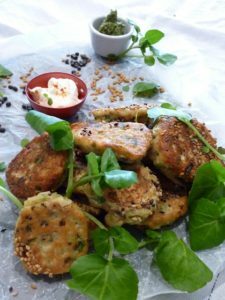 Allow the fritters to cook and brown slightly before turning over (the process should take around 5 minutes).